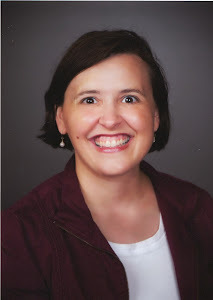 As I mentioned in several emails in January, I participated in Jon Acuff's "30 Days of Hustle" challenge with the goal of increasing the number of Bronze members for BeAResumeWriter.com. The theme for Day 25 was "Game On" and Jon talked about how to take your hustle and turn it into a game. He said "Games help you get momentum and distract you from the boring or difficult." Sounds like marketing your resume services -- right? It can be difficult to get started (getting momentum) and we sometimes think of marketing our services as boring or difficult (it doesn't have to be either!). I immediately saw a connection between gamifying tasks and the principles of the Get Clients Now® program, which I have been teaching for over a year now. The full program is six weeks, but the "action period" is just 28 days (limited time). It involves setting a Program Goal for yourself -- a small challenge that you can accomplish within 28 days. You keep score using a Tracking Worksheet where you assess your progress towards your Program Goal AND how many of up to 10 tasks you completed each day. You have built-in opponents because you're participating in the program with between 3-11 other resume writing colleagues. Each week on the coaching calls, you get to report your progress and see how your results are measuring up against the other participants. And finally, there is the Reward! You set a Reward for yourself before you start the 28-day program. Knowing that the program meets all the elements of a game makes it more fun! 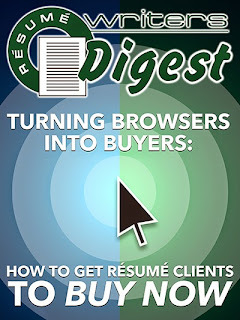 Creating a sense of urgency — buy now!— is the single most important factor in turning resume prospects into resume clients. Ask any resume writer: It’s critical to get a client to commit on the first call. The longer they wait, the slimmer your chance of getting them to open their wallet. When I ask self-employed resume writers which part of owning their own business is the most challenging, “selling” and “closing the sale” are often in the top five answers — if not THE top responses. So if you have a hard time turning resume and coaching prospects into clients, I want to share some specific strategies that will get people off the fence and get them to take action…which means getting them to open their wallets and become clients. In the Resume Writers’ Digest Annual Industry Survey, the results are pretty consistent year after year that the average résumé writer works on 3-4 resumes per week, at an average fee of around $500. So, imagine if you were able to serve one more client each week — that’s an extra $2,000 per month, or $24,000 a year. Many of the strategies I’m going to share don’t cost anything — so you can get a tremendous bang for your buck. The strategies I’m sharing are ones you can use in your very first conversation with a prospect, or on your website, or in a follow-up email with a prospective client. Speaking of the first conversation with a prospective client, it’s critical to get a client to commit on the first call. The longer they wait, the slimmer your chance of getting them to work with you. Combine these triggers whenever possible. One trigger is powerful, but when used together, they are even more powerful and will boost your client conversion rate even higher! How to use a low-cost, high-value bonus to clinch the sale. Just offering a bonus is a great way to incentivize people to buy what you’re selling. But when you make the bonus time-sensitive, you increase the urgency. And that means increased sales! Think about the infomercials you see on television. Many of them offer a “gift with purchase” — something extra when you make your purchase. Simply offering a special bonus — and it doesn’t have to be anything expensive — can increase your conversions. But when you combine that bonus with a deadline, you make this strategy even more powerful. That’s because a sense of urgency can help get people to commit. This does not have to be a high-pressure sales tactic. Order your Resume Rewrite package in the next 48 hours, and you’ll get a free 8-day “Leveraging LinkedIn In Your Job Search” training — a $49 value. Buy the “Six Steps to a $6,000 Raise” and you’ll get a free 15-minute salary negotiation strategy session — but hurry, this special offer ends tomorrow! 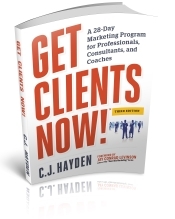 • 15-minute “strategy sessions” when the client makes a high dollar purchase. These can also be lead-ins to your coaching services or coaching packages, giving prospects a “try-before-you-buy” sample of what coaching can do for them. Most of these are things that won’t take you a lot of time to create — but have a high perceived value for clients. Just offering a bonus can increase your sales — but putting a time limit on it makes it even more powerful. Why getting clients to take a small action now can lead to a bigger sale later. Yet another way to offer your personal time and attention as part of a bonus package is by offering a free critique. 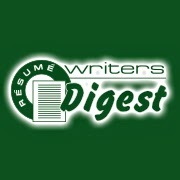 Free critiques used to be the number one way resume writers secured leads and converted those prospects into clients. For many resume writers, that’s still the case. Offering a free critique can not only help you assess the client’s existing resume, but it can also help you make the sale. If someone calls you and is asking about price, you can deflect that question by asking if they have an existing resume and offering the free critique. Ask them some additional questions about their job search — for example, if there is a specific job that they’re targeting, or a specific job posting or opportunity they need the resume for, and what their timeline is. You can also ask when was the last time their resume was updated, and whether they wrote it themselves or not. Tell the prospect that once they have sent you their existing resume you’ll get them a customized resume review (critique) that will help identify how their resume meets current standards. This also works for LinkedIn Profile development services. Order the interview preparation ebook book today and you’ll receive a free resume critique. Order now and I’ll review your LinkedIn Profile for free. If you are a Bronze member of BeAResumeWriter.com, you have access to a Resume Critique Form and LinkedIn Critique Form you can use for this “buy now” incentive. This strategy is also a good way to get clients to take a little action now that can lead to a big sale later. An example of this is if you sell information products — like ebooks or fixed-term membership courses — on your website. Getting someone to enroll in one of those is a perfect example of starting a relationship with a small step. So having an inexpensive offering on your website — under $49, for example, if your resume packages average $500 — gets them to take a small step. The same is true when you use the free critique — getting them to start the dialogue about what it would be like to actually work with you gets them thinking about that. When you review their existing resume, you’re sharing information about it, but you’re also positioning yourself as the one to provide the actual service. Understand where emotion and logic fit into the client’s buying decision. People make their buying decision based on emotion, and then justify their decision based on logic. With this in mind, you can help them come more quickly to their buying decision by helping them justify their purchase logically. For example, you can point out that the average length of unemployment is 35 weeks, so shortening that by a few weeks can make a significant financial difference. If you’re currently unemployed, then you can’t afford to NOT get this book. And consider this — the book is just $25, but you’ll get back to work faster using the practical, action-oriented strategies in the book. Do you want to make $1,000…$5,000…or more…in your next job? How much money have you been leaving on the table when you’re negotiating your new job offer? This ebook can add thousands of dollars to your paycheck — and you’ll pay only $49 for this valuable information! The key with this strategy is the balance between emotion and logic. You can’t have one without the other. Get the person who is looking for a do-it-yourself solution to pay for a done-for-you solution. Basically, the idea here is that you remind the prospect: “If you keep doing the same thing, you’ll keep getting the same result.” If the client doesn’t order now, everything will stay the same…which probably means whatever they are doing isn’t working…otherwise, you wouldn’t be talking to them in the first place. In the book, “Launch: The Critical 90 Days from Idea Until Market,” author Scott Duffy makes the point that “the biggest mistake salespeople make is selling the wrong thing.” He says you’re not selling them a product or a service — you’re selling them hope. The same is true for jobseekers. We’re not selling them a resume We’re selling them job interviews. We’re selling them a better salary. We’re selling them a better life. This strategy works particularly well for jobseekers who aren’t having success with a “do-it-yourself” approach to their resume cover letter, and/or job search. The jobseeker desperately wants a solution – and the search for a solution has been disappointing. He’s frustrated, discouraged, and even a little depressed that he hasn’t been able to solve the problem himself. He may even be kicking himself for allowing the problem go on this long. This is particularly true for jobseekers who have been actively looking for months. That’s where you come in — you offer hope. You offer hope that you can help the jobseeker get a job interview…and then an offer…at a great salary…in a job he will love. And you remind the prospect that if he doesn’t take action, then nothing will change. You’ve heard the commercial: “People do judge you by the words you use.” These words can help you seal a sale. This strategy is especially powerful when you combine it with other strategies. That’s because this method is simply a matter of using the most popular power (“trigger”) words that boost sales. As resume writers, we are keenly aware that words have power, and that choosing your words carefully can have substantial impact on the reader. So, instead of “ resume cost,” it’s “investment.” The power of a word like “investment” is that it triggers a specific feeling in the person reading it. The money they’re spending is not an “expense” or “cost,” it’s something that they will yield a return on. Some of these words work by capturing attention (“amazing”). Some work by appealing to the prospect (such as the word “you”). Some work by stating a benefit (“easy”). Still others evoke curiosity (“secrets”). Talk about “you” — because people love to hear about themselves. “Secrets” are appealing, because wouldn’t you love to know a shortcut to a quick and successful job search? If you talk about “quick” or “fast,” people want results NOW! Words like “startling” or “surprising” use something unexpected to stop prospects in their tracks. (“Are you making this surprising mistake on your resume?”) And using a word like “proven” is reassuring, because no one wants to be the guinea pig. Announcing our first-ever ebook that teaches you, step-by-step, how to make more in your current job. Discover the secrets of the world’s greatest recruiters. Now you too can use these proven strategies to find your next job faster! 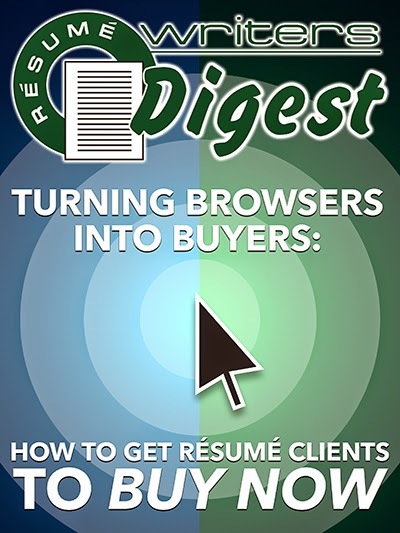 "Turning Browsers Into Buyers: How To Get Resume Clients To Buy Now"